This chapter describes a number of research fields that are closely related to learning design and discusses how they have been used as a means of promoting more effective teaching practices. This chapter looks explicitly at the ways in which learning and teaching innovations have been promoted and supported. It considers the strategies that have been used to scaffold teaching practice to ensure effective use of good pedagogy and to promote innovative use of new technologies. The approaches to supporting teacher practice discussed in this chapter are instructional design, the learning sciences, learning objects and open educational resources, pedagogical patterns, and professional networks and support centres. Balatsoukas, P., Morris, A., & O’Brian, A. (2008). Learning objects update: Review and critical approach to content aggregation. Educational Technology and Society, 11(2), 119–130. Available online at http://www.ifests.info/journals/11_2/11.pdf. Accessed 11 Aug 2011. Bergin, J. (n.d.). Some pedagogical patterns. Available online at http://csis.pace.edu/%7Ebergin/patterns/fewpedpats.html. Accessed 11 Aug 2011. Design, I. (n.d.). The instructional design website. 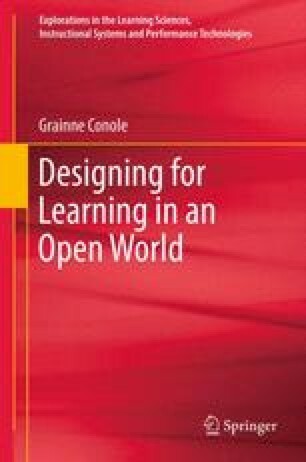 Available online at http://www.instructionaldesign.org/. Accessed 17 June 2010. Littlejohn, A., Falconer, I., & McGill, L. (2008). Characterising effective eLearning resources. Computers and Education, 50(3), 757–771. Available online at http://www.academy.gcal.ac.uk/people/falconer.html. Accessed 11 Aug 2011. Petrides, L., & Jimes, C. (2006). Open educational resources: Towards a new educational paradigm. iJournal, 14. Available online at http://www.ijournal.us/issue_14/ij_14_04_articleframe_Petrides_Jimes. Accessed 20 Sept 2011. Polsani, P. R. (2003). Use and abuse of reusable learning objects. Journal of Digital information, 3(4). 2003–02. Available online at http://journals.tdl.org/jodi/article/viewArticle/89/88. Accessed 11 Aug 2011.